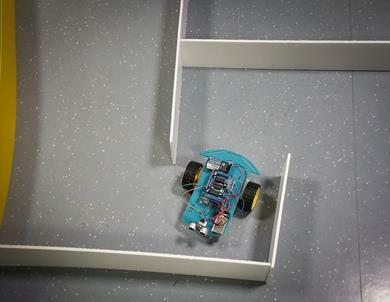 This term has been another series of firsts for the Academy; the first year at capacity, the first term with a Co-principal model and the first following the establishment of the Research and Innovation Centre. It has been a very successful term with another very positive Challenge Partners review in November, the report from which can be found on the website. The strong review team praised the quality of teaching, Curriculum, progress made by all students and standards of work. It also confirmed Humanities as an area of excellence. We can therefore add Humanities to the other areas of excellence and outstanding practice identified in previous Challenge Partners reports and the June Ofsted inspection. Once again we had difficulty just putting forward one area of excellence, we could have chosen so many. Our School Improvement Partners (SIPs), Sue Gregory and Marcia Headon, also visited the Academy earlier this month and gave a glowing report of progress to our Governing Body. However, with all the good things going on at the Academy, every organisation has areas that need to be improved and we have added communication and feedback from parents to our priority list for next term. Louise Garcia, Clerk to Governors, has taken on an additional role for policy development and co-ordination of stakeholder views. You will be hearing more from Louise over the next months. We are also undertaking a review of our telephone system to make sure it is fit for purpose. However, the Private Finance Initiatives (PFI) machine turns slowly and as with many of our systems, telephony is part of the PFI contract. To illustrate the snail-like quality of this process, the changes we initiated to improve the reception area have taken over 15 months to progress so far—but we are hopeful you will see the changes after the Easter break. The Governors and the Academy Senior Leadership Team are working with Camden Council to pressurise the contractor to improve its service. A word about my part-time arrangements: I started teaching in 1977 and in the New Year I will be entering my 40th year in the profession. I have worked with hundreds of staff and thousands of students, many of them now grandparents!!! Hard to believe I know. 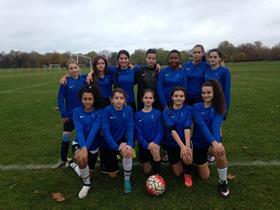 But I am confident in saying that the team we have assembled at the Academy is one of the strongest I have known. They have made this Co-Principal model possible and I am in their debt. You can rest assured the Governors and Trust are monitoring and evaluating the model closely but I would hope from the students, staff and parents perspectives it is very much business as usual. Alexandra Ayres, an experienced Headteacher is providing support to the SIPs and Governors in monitoring the model and will be seeking student and parent views next term. We will keep you up to date with any feedback and further developments. I wish you all a peaceful and enjoyable holiday with your children and look forward to seeing you all in the New Year. The governors have now concluded the Autumn 2 term round of Committee meetings, and full Governing Body Meeting, as well as the Academy Trust meeting with our Sponsor, UCL. The Governing Body have continued to review progress against the action plan in place since the June 2016 Ofsted. Monitoring Focus was held on the More and Most Able, with positive developments being made here to ensure progress, and stretch and challenge. The Pay Committee has been convened so as to monitor and review the performance management process and to then approve performance related pay progression for staff, where applicable. A full Safeguarding Report was provided, with the Academy continuing to work in line with the NSPCC on best practice within Safeguarding, and in line with the updated Keeping Children Safe in Education guidance of September 2016. The Academy’s Annual Report and Audited Accounts for 2015-16 were reviewed and approved by the Governing Body, and will be published on the website in due course. With our Sponsor, UCL, the student progress data was shared, and discussions was held on the upcoming changes to exams, and the Progress 8 measure being recorded. All of which were praised by the Sponsor, with thanks raised in recognition of the hard work undertaken by our students and staff at the Academy. The Co-Principal Model has been reviewed and monitored over the term, and is continuing to operate well. Our School Improvement Partner met with groups of staff and students, and the feedback received was constructive and positive in moving the model along further. The Consultation for the Admissions Policy 2018-19 is now live, with the proposed amendments to the Admissions Policy available on the Academy website for review and comment. Key items coming up for next term (Spring 1) include the following: Analysis of the Admissions Policy 2018-19 Consultation and finalisation of the Policy; a review of Staffing Plans for 2017-18; the headline summary of the Autumn term progress data to be reviewed, with the full analysis to be reviewed after the February half term (Spring 2). If you have any specific questions to raise to governors, please do direct these via the Clerk to the Governors, Louise Garcia: l.garcia@uclacademy.co.uk. We wish you all a very enjoyable winter break. 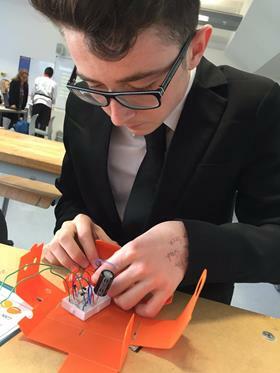 Students have been involved in a range of activities within the UCL Academies distinctive ‘Connected Curriculum’ this term. 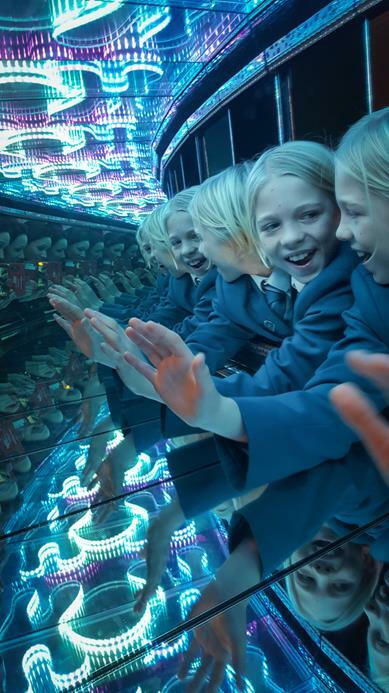 Led by the Art department, Foundation students who achieved 50 or more house points enjoyed the Wonderlab at the Science museum. This inspired the Exit Point activity where students were tasked with designing a lesson for their peers. Students in Level 1 finished the term developing their public speaking skills through a speech competition led by the English department. Level 1+ were involved in Battle of The Bands for their most recent Exit Point. This was an inspiring event led by the Music department allowing budding musicians to perform for their peers and teachers. Meanwhile, at Level 2 our students have shown great maturity in presenting their ideas around the challenges facing the world's cities. 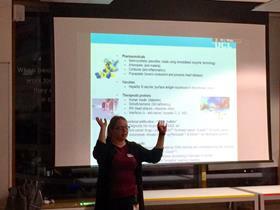 Students presented professionally to colleagues at our sponsor UCL. 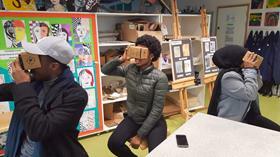 We have also had a visit from Google as part of our Exit Point, taking students on virtual expeditions around the world. This term we have been really lucky to introduce Ceramics and Textiles into our Curriculum. All Foundation students have Textiles for half a term and have been learning about lots of different skills and techniques. Each term students will focus on a season and have created a variety of patches which have been stitched together to create seasonal wall hangings. They have explored Batik, fabric painting, tie-dye and applique techniques and utilised this in their own work. In our lower school we have been working on lots of different art skills from painting, to pencil crayon use and printing with both polyblock and lino. We are really lucky to have a beautiful new printing press which we will be using in the new year to finish off our lino prints. We have also introduced Ceramics into our curriculum through GCSE work and through our exciting new SDL. We can’t wait to see this grow and we are really ‘fired up’ about creating ceramic pieces, especially Ms. Kawaja who is going potty for clay! In the upper school we are getting ready for our GCSE and A Level exams. Students have once again created some fantastic work, ranging from paintings, drawings and prints to sculptures and Photographs. We are also really proud to introduce GCSE Textiles and Photography this year. 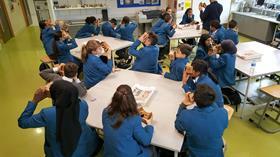 Finally, we took 100 Foundation students to the Science Museum for the Wonderlabs experience. Students were rewarded with this trip in recognition of their fantastic effort and work across all their subjects. Students have had a fantastic first term in Drama studying a brand new unit entitled, 'Darkwood Manor'. They had fun exploring the mysterious plot line, whilst acquiring a wide range of practical and theoretical skills. We were astounded by the level of maturity, confidence and talent students demonstrated this term, and were proud to showcase one group's work in the Winter Showcase; a first for a group of Foundation students. The unit resulted in a Drama awards assembly led by Ms Tomas, where students were rewarded with certificates and special prizes for the learner attributes of positivity, resilience, creativity and collaboration. Keep up the excellent work, Foundation! Students explored Shakespeare's Macbeth in great depth, analysing the characters and reimagining key scenes in a modern context, building upon and consolidating key skills from Foundation. Together with teachers, we made the most of the Academy's 'Connected Curriculum' by studying the play alongside the English department in the first half term. The result was an impressive level of commitment displayed by all students in their final practical assessments; a whole class production of the play. This half-term students have had fun exploring Shakespeare's Romeo & Juliet through a series of TV chat shows, giving them an opportunity to show off their knowledge of characters from the play through the use of the 'Hot Seating' technique (quizzing actors in role as their characters). The outcome was some very thought-provoking and entertaining improvised scenes. 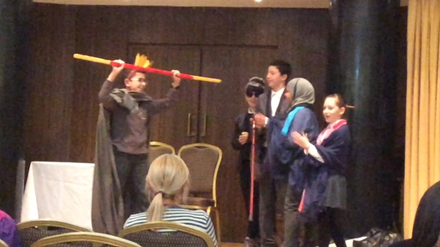 Through the Connected Curriculum, students practically explored the play at the same time as studying it in English during the first half term. This enabled students to gain a unique and in-depth knowledge of the play. Level 2 students have made an extremely positive start to the GCSE course this term as they embarked upon the new grading specification. Students were introduced to the process of devising theatre from a stimulus and working collaboratively as a professional actors ensemble. 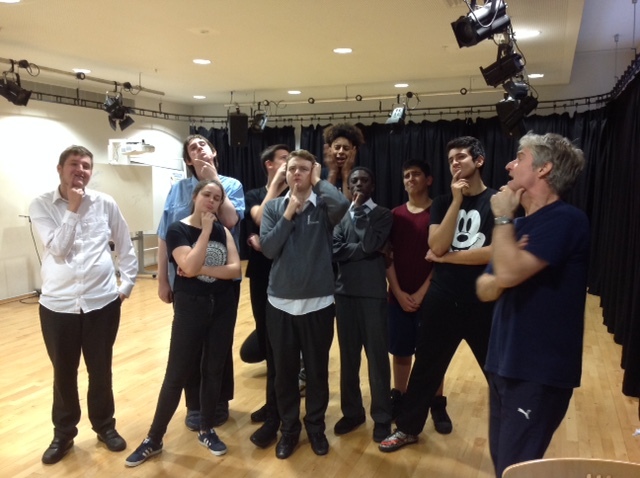 The Academy hosted a successful workshop on Friday, 30 September with our partner, renowned devised physical theatre company 'Complicite'. Students enjoyed this encounter with excellence from professionals in the field and were inspired to incorporate some of the techniques they learnt in their own pieces—one of which we were proud to showcase in the Winter Showcase! Students also visited the Royal Central School of Speech and Drama for a theatrical production of 'The Crucible' on Friday, 18 November; an important taster of a set text we shall be studying later in the course. Everyone in attendance thoroughly enjoyed the production, and we are very pleased to be strengthening our close relationship with the CSSD. Students have been working hard to complete their written GCSE coursework, having now embarked on the Unit 3 component of the course which is worth 40% of their grade. Upcoming highlights include preparing devised pieces for performance to a live audience, including a visiting examiner, in the Spring term. As with the Level 2s, a series of workshops were held at the Academy in November in partnership with 'Complicite', exploring devising techniques students can apply to their own work. The Level 2+'s enjoyed the challenges posed by Complicite and approached their work with an impressive level of commitment. 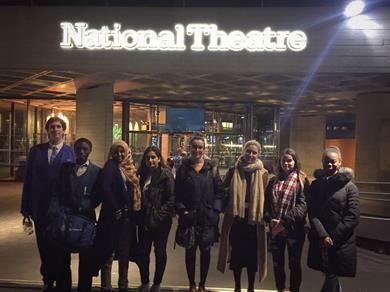 Lastly, students went on a field trip to The National Theatre on Wednesday, 2nd November to see Complicite's The Pacifist's Guide to the War on Cancer. This was an opportunity for students to be exposed to a shining example of an experimental piece at the very cutting edge of the theatre scene. Bringing together the realms of Science and Drama in the form of a flamboyant musical, this was an exciting and moving experience for students and staff. We have had a busy term rehearsing for our first whole Academy production of 'Bugsy Malone' and were proud to present a short preview at the Winter Showcase. Students in the cast have been working diligently to prepare for their roles, showing a great sense of dedication. This is a truly whole Academy collaborative effort, where asides from our acting, dancing and jazz band rehearsals, staff and students are working across several SDL groups including website design, makeup artistry, marketing, set building and costume design. We hope you can join us for one of our evening performances (7th and 9th February) for what is set to be an enjoyable show. Please visit our website at: www.uclacademypresents.co.uk where further updates will be posted. If you are interested in assisting the production, please contact Ms Bettioui, Curriculum Leader for Drama: n.bettioui@uclacademy.co.uk. 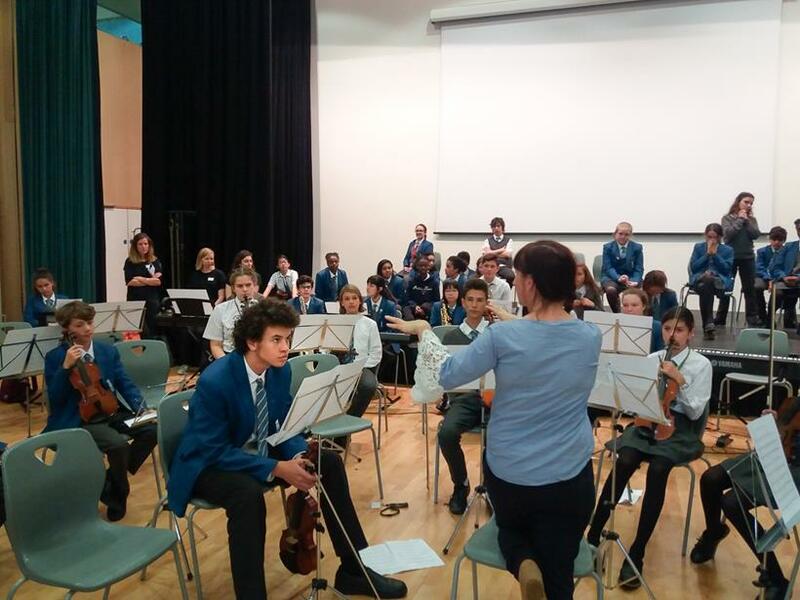 As part of our partnership with English National Opera, a whole day of performances and workshops was staged where the company took over the school for the day. This featured performance assemblies for the lower school where students were introduced to opera through exciting staged performances featuring a re-creation of a scene from Tosca and several scenes from Don Giovanni. 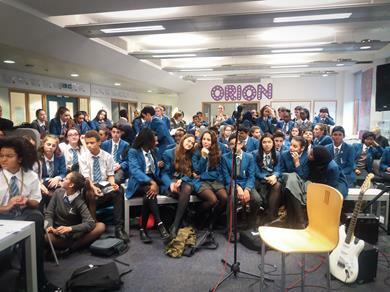 L2 GCSE Music and Drama students took part in a workshop learning about the world of opera from the inside, recreating different scenes and our gifted and talented instrumentalists took part in a workshop with the choir culminating in a performance at the end of the day. But most excitingly of all, pop up performances were staged by the members of English National Opera all around the school during break and lunch time. Staff and students were all amazed and enthralled to have such high level singers performing in the lunch canteen, the playground and in the super studios. For most it was their first experience of seeing an Opera performed live and everyone said that it had made them see it in a new light. Some students became so immersed in the stories being told that they staged an ‘intervention’ to stop the anti-hero, Don Giovanni running away with another characters’ fiancé! Students have been making great strides in their instrumental lessons and have clearly enjoyed making progress in their musical skills. Tutors from Camden Music Service have been working hard to encourage and support all their students but special congratulations go to Lucas Erbe, Rawda Al-Belbaisi, Mea Walker, Yousra Akka and Jessica Jamil-Mir for the progress made in their cello playing. In Music this term, Foundation have been learning about rhythm and in particular Samba, not only learning to play a piece of Samba music but creating their own learning set composition in the Samba style. Level 1 have been developing their skills in using Music Technology by creating their own remix of ‘Stand By Me’ using the music software, Logic Pro. 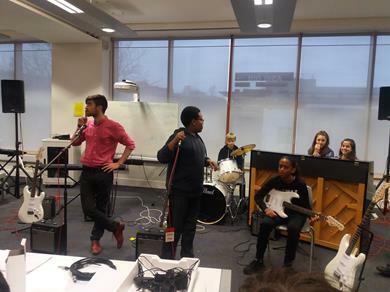 L1P have been taking part in a ‘Battle of the Bands’ project which culminated in a closely fought competition between the best learning set bands. GCSE students in L2 have settled into their course studying music for the stage and film over the last term while L2P students are working towards the completion of their course and have just sat their mock exam. Congratulations on the good work, all! 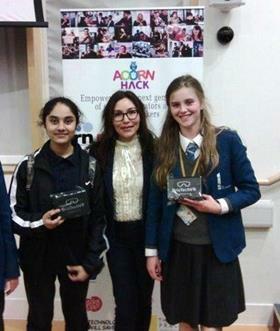 Level 2 students Mia and Shahnoza attended the Acorn Aspirations hack weekend on November 19th, arriving with an idea for an app which they briefly pitched to the room. They partnered with another 14-year old girl they met, and collaborated as a team to develop the product, a social justice idea for a game-based educational app called 'Road to Refuge'. Aimed at children, the game idea is to follow the journey a refugee might take, answering questions along the way to gain points, which can then be used for in-app purchases, with any sponsorship / advertising donated back to charity. Shahnoza wrote up the concept, and Mia did all the coding, using a programme that she hadn't used before. At the end of the day they had a working prototype, and the three of them pitched the concept (confidently and clearly) to a full room of peers, press and industry experts, coherently answering any questions posed. As Elena Salid of Acorn Aspirations declared after the event, "We are delighted to see UCL Academy so proactively empowering teenagers to become problem solvers whilst exploring tech entrepreneurship." STEM at The UCL Academy from The UCL Academy on Vimeo. There are so many highlights from the science department, it is difficult to list them all—make sure to read through the many subject-specific updates, and watch this space next term for a special STEM publication! One of our favourite highlights was having 10 students in L3 and L3+ receive the opportunity of a lifetime to visit the new UCL neuroscience department and find out how research is carried out on brain function, then listen to Sir David Attenborough give a lecture about the perception of beauty in animals. They saw how brain imaging is carried out, how viruses are used to study neural connections and even took part in a VR simulation. They also got to ask questions to Sir David after the lecture and even joined him for lunch. Students were greatly inspired by the research they saw, and it gave them a lot of food for thought about planning for their futures. 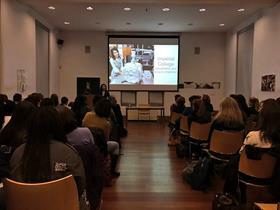 On 11th November the Engineering department (Miss Maxwell, Miss Halpin, and Ms De Feo Walsh) took all L2P female GCSE Engineers to the WISE (Women in Science & Engineering) conference at the IET (Insititue of Engineering and Technology). The feedback from students was very positive as it gave a tremendous insight in to the opportunities for women in tech and engineering! Students were invited to attend First Lego League competition where they learned about the opportunities offered by robotics and computer science education, and joined in with the competing teams in the hope UCLA will have a team take part next year. 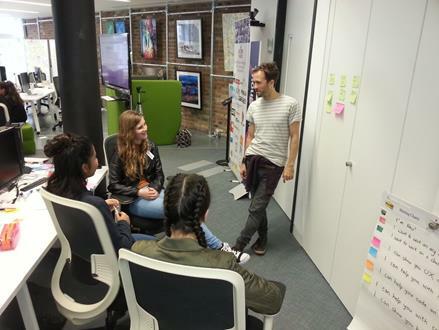 L3 and L3+ students took part in the AcornHack two day event and even own some prizes! Please see the STEM section for further details. We're proud to announce Alan McCurdy as our new Curriculum Leader of computer science, joining Mr F Tahir and the support guru Mr K Karir. Looking forward to a positive, inspired new year for computer science in 2017! Over the course of three days in November, 220 students from Level 1P, Level 2, Level 2P and Level 3 attended the Maths Inspiration Lectures at the Gielgud Theatre in London’s West End. The theme of the lectures was around the bestselling novel and award winning play The Curious Incident of the Dog in the Night-Time, which is in many ways an opus of mathematics. 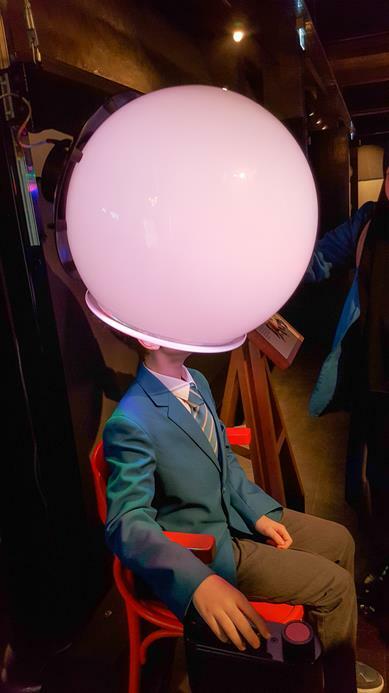 In this unique interactive show using the set of the smash-hit theatrical production, the students explored some of the intriguing and often beautiful mathematical ideas that are touched on in the original novel. They looked at prime number patterns, proofs, fractals and of course, coincidences. They also discovered the mathematical concepts that influenced the music, set design and incredible visual effects in the stage production. Our students were pleasantly surprised at how funny and entertaining the whole event was – something they were not completely expecting when they put the words “maths” and “lectures” together. It has helped to improve and strengthen opinions on just how interesting and pervasive maths is in all aspects of the world around us. Many students (and staff! were desperately keen to get involved on stage. Aryana Dahyek of Level 1P was chosen to take part in a fiendish problem in logical deduction, while Mohammed Iskander of Level 2 demonstrated his singing abilities in a segment on the maths of musical harmony. Well done to both of them! The Maths L1 home-learning project for the first half term was to create, design and produce their own board game. This ties in with their first big idea of the year, 'Trying to beat others has good and bad consequences’. The project culminated in an exhibition of their games for parents and visitors to the school. 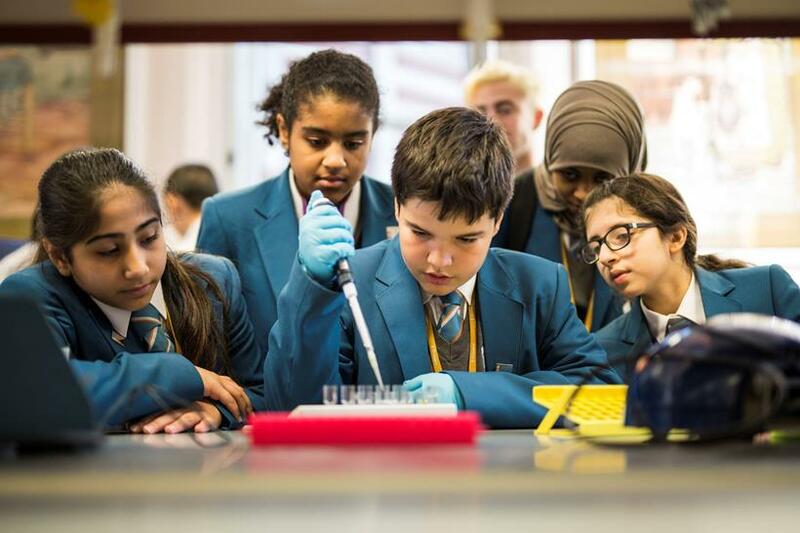 Mr Brighouse was recently invited to teach sessions on the mathematics of how viruses spread through a population at UCL in central London as part of the Sutton Trust Scholar Programme, which helps pupils from disadvantaged backgrounds aspire to academic life. The highly interactive sessions involved complex pattern building, sequences, graph theory and some unusual applications of symmetry. 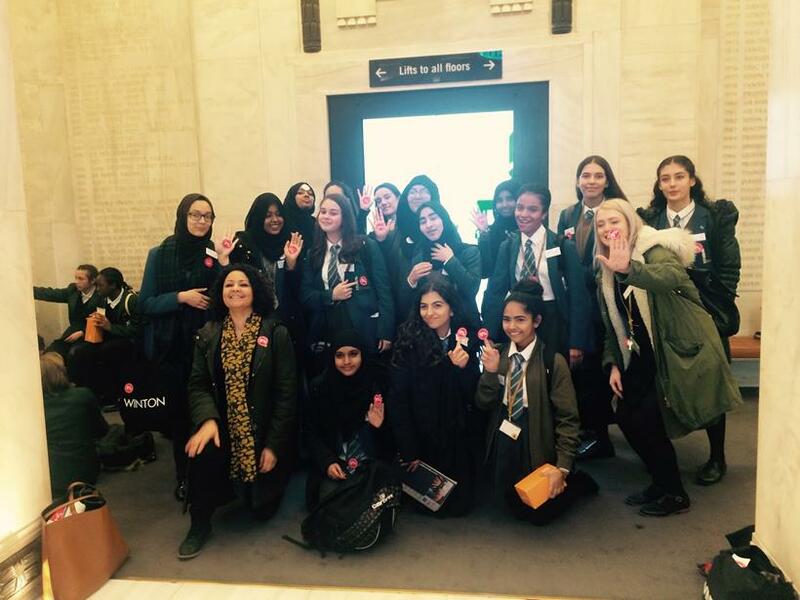 Pupils attended from many schools across London and thoroughly enjoyed the day, commenting on how they had not realised just how powerful mathematics could be. 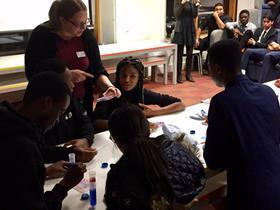 Similar sessions have now been run here at UCL Academy with our foundation level pupils, who successfully modelled a virus pandemic in Lyra Super Studio, which fortunately they managed to contain! 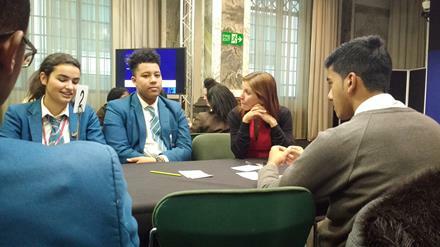 Level 2+ Economics students attended a career networking event at Bank of America Merrill Lynch. Students heard a talk from the head of Human Resources, followed by a speed networking activity with a whole selection of volunteers who work at the bank. 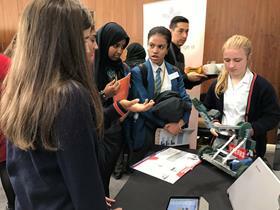 It was a great insight into the world of work and students were surprised at the range of jobs that exist in a organisation like BOAML, and also by the many different career paths that employees took to get there. Level 2 Business students met with three inspiring and successful entrepreneurs who delivered a talk on their journey in Business. These business leaders have a combined company turnover of £29,147,851, and employ over 120 people. They spoke with our students about the challenges and successes of setting up a business, and demonstrated the relevance and connection of what they are learning in the classroom with their experience as entrepreneurs. Our Business students are currently researching their own ideas for a new business and creating a business plan and model for that idea. As such, the encounter was a fantastic opportunity for our students to gain an understanding of what it takes to be a successful entrepreneur. Our new Level 2 cohort have made an excellent start to their GCSE programme. They began their year by exploring William Golding's Lord of the Flies. Students have grasped the complex questions raised by this text and especially enjoyed the chance to perform in their role as "savages", painting their faces and re-enacting some of the novel's more bloodthirsty episodes. This term, every student in Level 1 researched, planned, drafted (and redrafted and redrafted!) then performed a speech on a topic about which they are passionate. 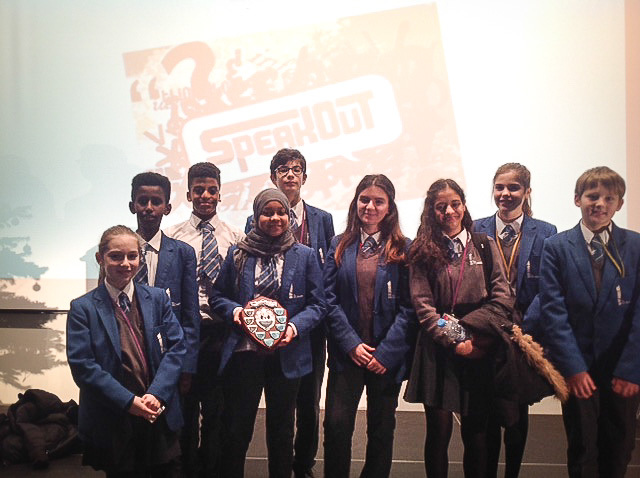 A representative was then selected from each class to compete in the finals of our fourth annual UCL Academy Speak Out Competition, which took place as part of their Exit Point day. The finalists spoke powerfully and confidently in front of a large audience on topics ranging from gender equality to Islamophobia, all greatly impressing our panel of judges which included a public speaking expert from Central School of Speech and Drama and last year's competition winner, Jasmine Adams (Level 1+). Last year the English department participated in a study comparing the progress made in English by students across the country in their first year of secondary school. Four thousand students across 40 schools took part. We were very proud of our students who, on average, made more progress than those of any other school in the study. ​The Humanities department was given the title of Area of Excellence during the recent Challenge Parters review. It was particularly noted for its use of Superstudio teaching and its cross-curricula project-based approach. History, Geography, Sociology and Philosophy were all commended. 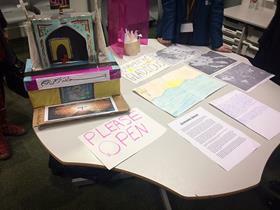 Foundations students completed their 'Connected Curriculum' project based on Civilisations. Students used skills, insights and knowledge from History, Geography and Philosophy to design their own civilisation. 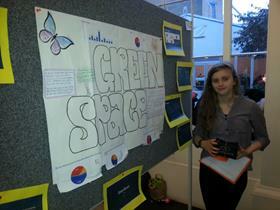 These were then presented in a fabulous Humanities 'Celebration of Learning' event on November 10. 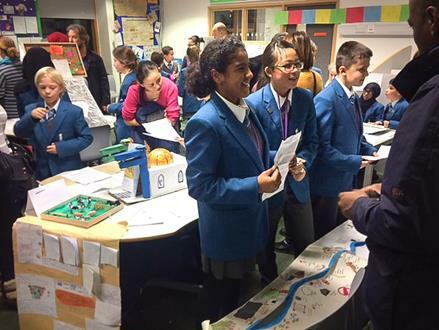 Students presented their Civilisations to teachers and parents, impressing all with their articulation of their learning journey. The Level 3 students were placed in an emergency-simulated situation run by UNICEF. They were given the task of organising the first airplane of supplies to a flood-stricken place in a developing country. There were time constraints, budgets, liaising and collaborating with colleges in different offices in around the globe. They also had to deal with reporters and over demanding donors wanting more than they could have, whilst retaining a professional demeanour and attitude at all times. All the students found it enlightening, engaging and that it provided a solid perspective on the pressures and stresses involved in responding to such situations. Thankfully, the airplane left with adequate supplies on board! The whole group did extremely well. 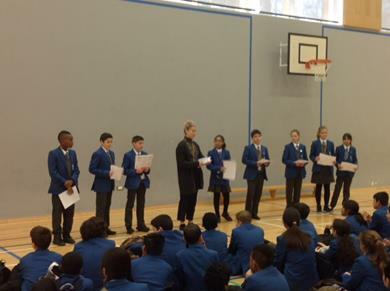 The Humanities Department held an exciting flag-naming competition with Lower School this term. Pupils were required to identify the flags by country that adorn the Cygnus superstudio, with CY3 Learning Set coming out as the winners! Knowledge of countries is crucial in Geography, and many pupils used their football acumen to correctly identify flags based on World Cup performances. Well done! For the first time in the Academy’s history, Foundation students are having the chance to trial all three Modern Foreign Languages before opting for the language they would like to study at GCSE. Every term small classes of students follow one of our 3 languages (German, Spanish and Mandarin) to experience the culture, linguistics and flow of the language. This term has got off to a successful start with some strong progress being made by most students. In January, students will switch into a different language where they will stay until the end of term. Students are asked to keep an open mind until they have experienced all three languages before making their choice. NOTE: see the Mandarin section for Mandarin-specific highlights! After impressing the judges at the National of the British Council and HSBC’s Mandarin Chinese Speaking Competition with her language skills at the regional heats in December, Tyyne became one of the 16 finalist in the Beginner category and attended the grand final at the British Museum on 7th February 2017. During the final, Tyyne did an excellent presentation in Mandarin, answered the judges’ questions (also in Mandarin) confidently, and successfully translated two unseen sentences with ease. Let’s wish her all the best for the final. Go Tyynne! 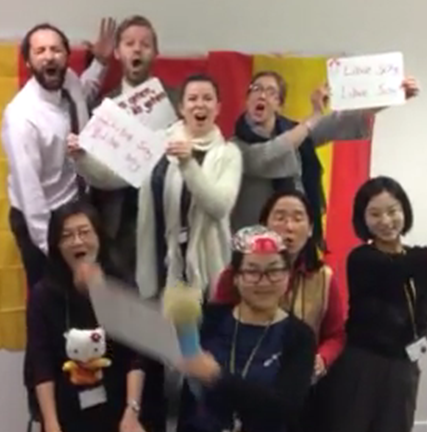 Congratulations to the Mandarin Department at The UCL Academy for successfully applying for and gaining Confucius Classroom Status. 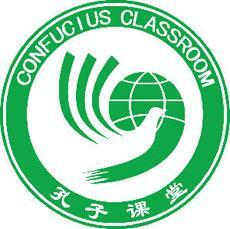 Confucius Classroom status is awarded to mainstream schools across England that have Chinese embedded in their curriculum and can give advice, support and taster classes to other schools in their region that are looking to start offering Chinese. With the funding we are hoping to transform a learning space in the school into a haven for Chinese language and culture. If you have any ideas, please speak to the Mandarin department. Watch this space for more exciting developments! 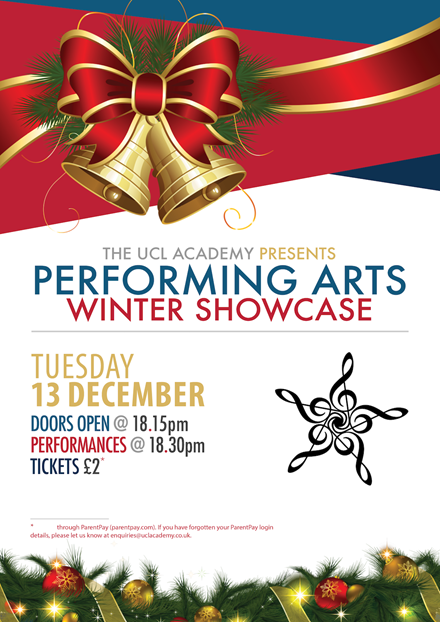 On Tuesday, 13th December, the Music and Drama departments were proud to showcase a variety of specially prepared performances from across the Academy as part of our annual ‘Winter Showcase’. Performances included: String Orchestra, Jazz Band, Foundation Drama, GCSE Drama, The School Choir, Level 2 Music group and a stunning solo composition from Klara Roberts. We were also proud to present an exclusive preview scene from ‘Bugsy Malone’. The evening culminated in a special ‘Frozen’ finale, starring members of staff from across the Academy. There was even a special star appearance from Elsa herself (bearing an eerily close resemblance to Mr. Street!). Students displayed a great sense of commitment and dedication in the run up to the event and audience members were very impressed by the level of talent and professionalism students displayed on the evening. Our students really did us proud. Thank you to all staff and students involved in the event and to parents and carers for their support. Amongst the many highlights the SDL cycle has seen this past Autumn term include the launch of a huge array of exciting opportunities our students can experience; from sessions like Introduction to Ukulele, Chess Club, Costume Design to Mandarin Film Club; a truly eclectic variety offered by our internal staff portraying some of their 'other' passions, as well as our external partners. 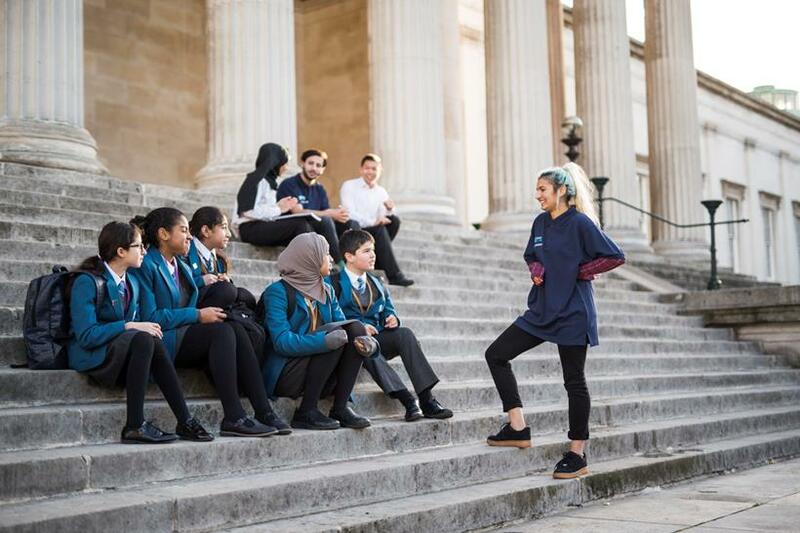 We have continued our links with the Step into Dance organisation where key moves have helped students relieve energy through the joys of dancing. Additionally, we have linked with UCL student volunteers where they have been supporting our football clubs, for both male and female students. We had our continued work with The Winch working with our students in a film-making documentary club and Chess in Schools & Communities working with our lower school, Level 2's as well as Level 3's. Great work this term, everyone! Our work with our Sponsor continues to provide yet more unique opportunities for students and staff. 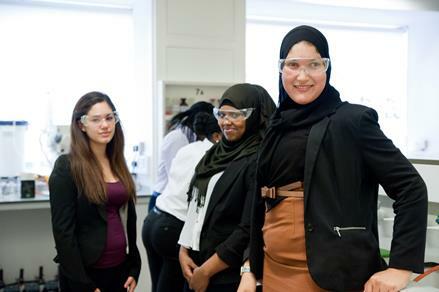 The program of special lectures, visits, trips and experiences continue to enrich the experiences of all our students. The flagship mentoring program next term will contribute even more to the work of the partnership. Also next term we are hugely excited to start our planning for a joint international student conference in June, when the work of UCL and the Academy will be showcased in a unique and exciting two day event. Watch this space for more info to follow! This term has seen the staff team working even more closely with UCL IOE. The professional development opportunities for teachers and support staff are ambitious and hugely exciting. The publication of the Academy staff's first journal, Pathways, is a milestone and next year we hope to build on this work with UCL IOE on teacher research and practice. Alongside the introduction of the Research and Innovation Centre at the Academy and the role of teacher researchers at UCL, the partnership between the Academy and the UCL IOE has never been stronger. You're receiving this email because you have subcribed to receive information from the UCL Academy.